I'm gonna die historic on the fury road! For the longest time I've wanted to do Road-Warrior-Like car conversions with Hot Wheels. Probably since the first time I played Car Wars (even though, at the time, Car Wars was an entirely different scale). Well, ever since the release of Gaslands I've decided that I was going to make that dream a reality. Having purchased the Gaslands rulebook I was armed with a reason to do a project (even though I didn't really have a specific car I was trying to build rules-wise). I bought a handful of Hot Wheels and picked one mostly at random to get the treatment. I should have taken photos of the process but I was really just fitting this in as I was working on minis that pay the bills. But I can tell you that I started out but taking the thing apart. There are two pins on the undercarriage that you need to drill out. I did it with a pin vise and it wasn't a problem at all. The metal is pretty soft. Once I had it apart I did some modifications to the body. I drilled out the headlights, added a couple of bullet holes, and dragged one of my Dremel bits down the right side. I used the same bit to add some damage to the front and back of the body. I then did some light sanding to the existing paint (320 grit) and gave it a light black primer. At this point I went digging through my bitz boxes. I needed a weapon for sure, but I was also looking for other things to improve the look. I turned up a weapon pretty much straight off. It's a Rogue Trader era Lasgun. I can't believe I still have some of those things, but at this scale they make a good-sized generic gun barrel. It could be a laser, a light cannon, or a machine gun. I also turned up a similarly old shield badge for Warhammer that I thought would work good on the hood and a piece of brass-etch grill that has been in their since about 1997. Lastly I grabbed a sprue of parts from a 1/144 scale Robotech model. I mounted the gun to the roof of the car with a bit of putty. I took the shield badge and used the Dremel to gouge a channel down the center of the back so that it would lay flush on the hood, then added some putty to smooth it all out. The brass went in in place of the windshield (as I was throwing that out anyway). I also cut a little piece of plastic to go over one window. The Robotech model turned up a couple of bits that looked like metal boxes or perhaps a fuel tank that I put in the back (you can almost see them in the pics). At this point I could start painting. I started with the a hint of rust brown over the black. You can see it clearly on the steel panel over the right window. It was really there to show through a bit after I put on the next coat - implying underlying rust. The second coat was Warcolours Red 3. I faded it in much like I do my tank paint jobs. That is, I focus on the center of a panel and work my way out from there. It provides a nice color effect and in this case gives the car the look of an older vehicle that has had it's color slowly leached out by the rust that's coming through. Where I wanted to show much more rust I dabbed on a couple of different rusty colors - one darker rust brown, one bright orange. The trick with making this look right it to thing about where the car is going to get dinged up and stick with those areas. I wanted the big scrape along the side to be fresh. I decided that rather than painting the exposed metal I was just going to expose the metal. When I used that Dremel bit it left a really nice polished metal underneath. So I took a toothpick and removed the paint from the scrape, then added a bit of rust to the edges. I did something similar with the bullet holes. I just carefully put a drill bit over the holes and scraped the paint from the edges of the holes leaving a bright metal ring. The hood isn't actually black, it's actually a dark cool grey (Warcolours Grey 5). The skull is a simple white with black wash. Overall this was a really simple conversion and paint job and it was a lot of fun. I have another dozen or so Hot Wheels at the moment that are all longing for some conversion work. I expect to do at least several more in the near future. Just a quick note. The second part of the Layers Miniature Painting Podcast interview is up and ready for your ears. 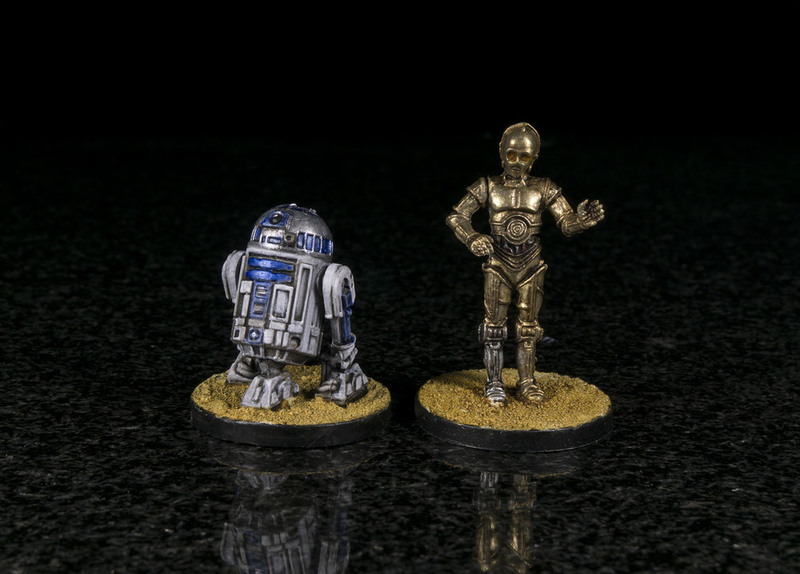 I recently had a long conversation with Dave from Layers Miniature Painting Podcast where we talked about all sorts of things. If you've ever wanted to learn more about me there are worse places you could do that. FYI - The podcast itself is fairly new. This episode is only #10 but I've found that I'm really enjoying it. I've often thought that a podcast isn't the best medium for discussing our hobby as it such a visual hobby. It turns out that it can work and I do enjoy listening to Dave's discussions about all things miniature painting. It is a little more focused on the beginning painter than those of us who have been doing this for a while but I always come away feeling like the time spent listening was worthwhile. Jay - Where have you been??? Since somebody just e-mailed asking if I was still doing commissions I thought it might be a good idea to post something here letting everybody know what's been going on recently. First of all, let me answer the question that prompted this post. Yes - I'm still taking commissions. Actually, there's a longer story there. You see, for the past year I've been working part time at my local post office in addition to doing commission work. I figured that I'd be able to get a more steady paycheck in addition to the boom or bust commission payments and sort of even things out. In addition, for a number of years the holiday season has always been super light for commission work and as this is the busy season for the post office I figured that this would work out well. This ended up working pretty well in one respect - it definitely made my income more steady. On the other hand the part time job I thought I was taking was part time some weeks, full time others, and more than full times in some circumstances. It made is REALLY hard to keep my commission work on schedule. In addition to that issue my commissions requests just kept rolling in. Big projects like Kingdom Death Monster 1.5 started piling up shifting my schedule further into the future. Where I was used to scheduling 3 months out my schedule was being booked 6 months in advance - Well past the holiday season that normally thins out. Another thing that really took a hit in this period were my videos. They have always been hard to fit in to my schedule when I was just painting but they became impossible while I was trying to fulfill the needs of TWO jobs. That's why you haven't seen a new video out of me in a while. With all this in mind it wasn't difficult to decide that maybe I should just go back to painting full time. It's the thing I love to do and the work is there. So as of right now I'm a full time painter once again. I've actually been looking at the schedule I'd put together based on having the other job and I must say that it does look like a TRIED to account for the fact that I didn't have all day to paint but some months... I'm not sure what I was thinking. In any case, the schedule is going to compress some. I'm thinking that I'll end up moving things forward at least a month for some of the projects that were farther out - maybe even more. It'll take a few weeks before I can really nail that down, but that's what it looks like now. As for videos - yes, I'm going to try to get those going again. I have some things I want to do, but for the moment they will have to still be on a "whenever I can do them" timeline rather than a fixed schedule. Much as I'd like to make the videos more of a focus they just aren't paying the bills so I can't divert too much of my time to them for now. Anyway, I'm happy to be back doing this full time! I just had a question on YouTube about where to find 3D printable terrain files and I realized that I've gone digging for this information myself without ever creating a useful list for myself. So I'm going to put this down here for now and then update it down the road. Thingiverse - This is my first stop for digging for any 3D files. It's not perfect as searching for something that you want can sometimes take all of your keyword-kung-fu to find something useful. Still, there is a lot of useful things there. If you want to save yourself a bit of time be sure to jump right over to Dutchmogul's designs. 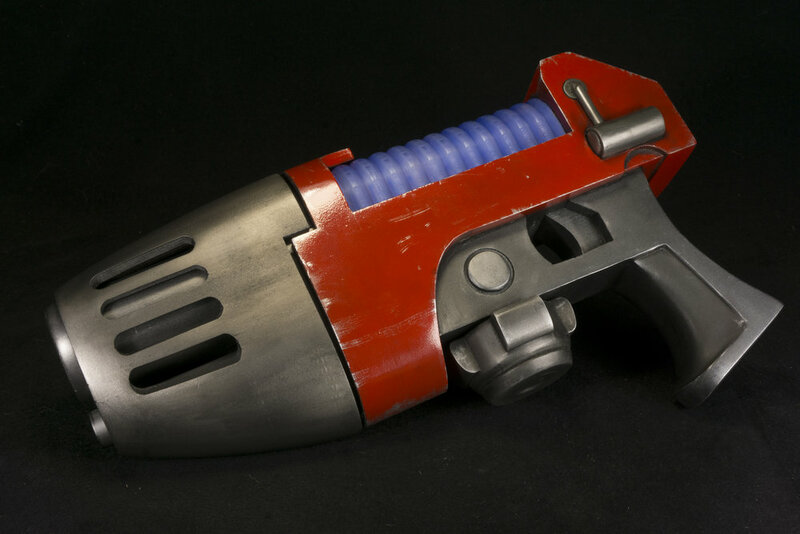 I don't believe that there's a more prolific 3D designer of game-related files on Thingiverse. Even the things that he makes for odd scales (like 18mm) are usually easily rescaled to make the more useful to whatever it is you are doing. Yeggi.com - Unlike Thingiverse, Yeggi is really just a search engine for 3D files. If you search for 3D files on Google you are likely to run across results from Yeggi (which is how I discovered it). Most of the hits that you get will end up linking back to Thingiverse - but not all of them. I've discovered a lot of little sites that host 3D files with Yeggi. Additionally, you will sometimes get hits to Thingiverse that you don't get when searching that site directly. Printablescenery.com - Printable Scenery is quickly building their brand to be THE place to find 3D printable terrain for gaming. Funding their business with Kickstarter campaigns, the site now offers a wide range of files for different game settings. Most of what they offer at the moment is either fantasy or "historic". The Historic range is a mix of things that seem mostly suited for WWII as well as a smattering of more eclectic pieces (like Marori huts or Native American structures). The Fantasy category the most packed with items as it includes both historic items that would work in a fantasy campaign as well as some true fantasy-inspired pieces like dungeon walls, strange towers, or the wonderful Winterdale line of castle walls and buildings. Fat Dragon Games - FDG's offerings are all focused on dungeon tiles and fantasy dungeon setting related items. Of course some of the scatter terrain-like items could work in a variety of settings so even if fantasy and dungeons aren't your thing it's definitely worth a look. Dicey Ventures - More fantasy offerings. In this case it's really stylized fantasy buildings like you might see in a 1980's cartoon. Interesting designs if that's what you're in to. Thunder Chrome - TC's focus is post-apocalyptic shanty-town-style buildings. I really like their design aesthetic. It seems to be very Fallout inspired. As I've researched this list I've found that many of the Kickstarters that offered 3D printable terrain never turned into ongoing companies. Some just vanished. I suppose that this is to be expected. If you know of any individuals or companies that are offering downloadable game terrain pieces please either contact me directly or leave a comment. Yep.. just got some new toys and decided to share the experience of looking them over. I can find all kinds of excuses not to make videos. One of my favorite excuses is "that's so simple - nobody is going to care about that!" The thing is, there's always somebody who can use that extra bit of information and something that seems simple to me isn't necessarily obvious to somebody else. In this particular case I actually through together some simple bases for a project and the whole thing was easy - but I did it with materials I'd never used in this way before so I thought "why not do a video?" and this was the result. Since the mid 1980's the Winsor Newton Series 7 brushes have been my go-to miniature painting brushes. Using them for the first time was a transformational experience for me as a painter and they've come along with me through all of the years since. Expensive as they are, they always felt like a necessary tool for me. Ever since the embargo on the brushes I've started looking around at other options. I have to admit that it felt a bit like cheating. The problem was that in addition to the price of the brushes there was this added issue of not necessarily being able to get them when I needed them in the sizes that I wanted them. This was a problem for me. At some point along this journey somebody had mentioned Rosemary and Company brushes as being a good, cheap alternative. At that point whenever anybody suggested brushes to try I would just try them so I bought a few of their Series 33 brushes. They were definitely cheap, though the shipping cost meant that you really needed to buy a few to keep the price per brush reasonable. I found them to be really good for the price but nowhere near as good as my beloved WN7 brushes. Still, their size 0 brush had a shape that I really liked for painting eyes so I bought a few more of those and continued using them. Later, I discovered that they had another, better line of brushes. The Series 22. A month or so ago I bought several of these to try them out and since then I haven't really touched my remaining WN7s. The interesting thing to note here is that I don't really find the brushes significantly better. I think I like the points a little more (they are slightly more blunt at the tips where as the WN7s are incredibly sharp) and they don't have quite the same snap that the WN7s do. Otherwise, I find them to be similar in all other ways. The reason I keep using them is that because their cost is about half that of the WN7s I don't feel like I have to treat them like precious little things that I have to keep in perfect condition for as long as possible. I should also point out to those of you in the US that shipping is still expensive so it does cut down a but on the savings, but at these prices you should just go ahead and stock up on all of the sizes you think you need. They ship quickly and you'll have your brushes in no time. For me that also eliminates that feeling of dread that a brush is starting to go and I need to start the ordering process as soon as possible or it could be a month before I see another. So let me just say that I unreservedly recommend the Rosemary and Company Series 22 Brushes as a cost-effective replacement for the Winsor Newton Series 7 brushes. Even if you think that you don't have the need to switch I recommend just trying them out to see for yourself. I'm still using both at this point, but I don't know if I'll ever bother replacing the WN7s that I have right now. I recently did a video where I looked at the efficacy of miniature holders similar to the one in the recent kickstarter (you can see the video below). After completing the video, I started working on my own version of the design in Fusion 3D. The idea being that I would come up with a cool design that utilized a collet-like system to hold miniatures in place that would be an improvement on the cord system shown in the Kickstarter. Today, I spotted a new Kickstarter for a 3D printable miniature holder that includes a collect system for holding the miniatures in place. Well, now my own design is on hold until I receive the files from the new Kickstarter - which I have backed. I picked this up this weekend and was compelled to do a review. Apparently it has been two months since my last blog post. I blame my inherent laziness and the fact that it's so much easier to post funny pictures to Tumblr. Two months ago my post was about my first impressions of 3D printing. So today I thought I'd do a follow-up where I talk about how I feel about it now so that you can compare and contrast. As I was working on Xenomorph minis from the Alien vs Predator line I came across a couple of miscasts. Specifically, the claws would be missing and there would be a void in the fingers where an air bubble had formed. I spent about half an hours looking around the shop to figure out the best way to fill the voids and rebuild the claws. Eventually I started heating and stretching old plastic sprue so that I could create strands of plastic to cut to size and fill the space. The problem with that is stretch sprue is hard and you don't get an evenly size piece of plastic. At some point in this process I glanced at the 3D printer and a metaphorical lightbulb went on over my head. I fired it up and hit the extrude button and got a 10mm string of perfectly-sized ABS plastic that I was able to use for this purpose. It's really just a fluke that this worked so perfectly, but I was happy that it did. The project that inspired me to purchase the printer in the first place is now complete. I'm really very happy with the results - even if it does tend to bring out an unending stream of "companion cube" comments. This is the Gozanti Armed Cargo Carrier. The cargo pods were designed by me and printed on my printer. They were then sanded and primed and painted to get the final result that you see. I think that the thing I've painted most over the past two months is terrain pieces from files on Thingiverse. There's a lot of really interesting pieces from very creative people. My biggest problem with it is that, once printed, I don't always find the time to finish them. I did so a handful of various modern-day barriers that will work well with anything from modern to sci-fi games. It's nice to have bits like this to add life to your tables. Of course, I haven't had an opportunity to use them yet. Oh! How could I forget my first "product"? The paint brush rack that I'm selling here on the site is something that I designed for myself. I currently use two of them. One for my brushes, and one for my small tools (X-Acto knight, sculpting tools, etc). So many people asked me about how they could get one that I put both the printing file and printed rack up for sale. Then, of course, there's the other hobby that I've wanted to be able to indulge myself in for years but have never really had the opportunities to do so. I'm, of course, talking about my interest in sci-fi guns. I've purchased a few kits over the years, but I've never really dived head-first into the hobby. I think because I could never really justify the expense to myself. Sure, they're cool, but at the end of the day they just end up collecting dust. It's sort of the reason that I moved from static modeling to miniature gaming in the first place. Of course, with the expense part of the equation out of the picture I can make all of the "dust collectors" that I want... and I want a lot. I started with the B5 PPG that you see here. I'm following that up with Rey's Blaster from The Force Awakens (and there will be a couple of videos on that one) and I have others in the works as well. The nice thing about these projects is that they're not overly hard to complete. Print the parts. Apply a little elbow grease in the form of sanding. Do a little repair work with putty as needed. Maybe add some details (like the screws in Rey's Blaster). Paint, weather, you're done! These are little side projects for me. I can do a step when I need a break from painting miniatures and then just set it aside. The final results are really satisfying and I didn't have to break the bank to do them. As for the printer itself, it's held up fairly well. I had one part on it break, but it was easily repaired with a little glue. It's also a part that I can print myself to make a replacement if it comes to that (and I should probably do that before I need it). There is also a plastic film on the heated bed that has started to separate a bit from the bed itself forming small bubbles. The manufacturer says that the aren't really an issue as they are now but I've already looked into replacing it and it shouldn't be expensive or especially difficult to do. I've tinkered a little bit with the software to see if I could improve on the factory settings but so far it looks like they dial it in pretty well themselves. Nothing I've done has made a positive impact at all. I've also found that the baked in "easy mode" settings in Cura work just fine for 99% of my projects. I've rarely found a need to go in and adjust the various settings that they give you in the advanced mode. I'm honestly not that interest in 3D printing as a "hobby" in and of itself. I just want to use it as a tool. If it gets the job done as I need it to get done as is then I see no reason to tinker. I've seen a few articles recently touting the end of 3D printing as people discover that they just aren't very useful and they are too difficult to use. I think that the people who have been writing those articles have no idea what they are talking about. In all cases it seems like they bought one without any clear idea of what they were getting in to or why they were getting one (aside from it being the hot new thing) and ended up disillusioned. I'm finding that it's opening up all sorts of doors for me and I'm discovering new things that it can do for me all of the time. The end isn't near. We're just at the beginning and I'm very excited to see where it all goes from here. Gaming Across the Third Dimension! I finally did it. I went ahead and bought a 3D printer. This new tool is going to probably be the subject of a lot of new videos. Until then, I thought I might share my thinking in terms of making the decision on what to buy. This is really where you're probably going to start your shopping. My budget was in the neighborhood of $1200. My research told me that this was going to put me at the high end of hobbyist-level printers. To get anything significantly better you really need to jump up to about $1800-$2000. If you just want to dabble but don't have a lot of money to spend you can actually find printers that start out at about $300. I don't think that you're going to get much in the way of print fidelity but the fact that you can get in at that price level at all is pretty amazing. With my budget pretty much fixed I had another big choice to make. There are actually a couple of different types of 3D printers I could buy with this budget. The most common type is the Fused deposition modeling (FDM) printer and I certainly had a lot of options there, but there is also now at least one Stereolithography (SLA) printer available in this price range now. In fact, when I asked one of my friends in the special effects industry to ask around to see what people recommended, this is the one that came up. The XYZ Printing Nobel 1.0 - looks like a pretty cool 3D printer. Because it's an SLA printer it also means that it's capable of better resolution than most FDM printers. There's a couple of downsides, though. First, SLA printers use a liquid resin that it cured by laser. The liquid resin is smelly and messy. When your print is complete you have to clean it up in alcohol in order to get rid of the uncured resin. On top of that the resin is really expensive so your cost per print is going to be significantly higher than FDM. Still, the resolution was tempting. I think the two main reasons were cost and reliability. On the reliability side there were some reviews that pointed out that they were getting some unexplainable errors with the hardware or the prints. Not everybody had these problems, but since there were so few reviews it was hard to say how often these errors actually came up. It made me nervous enough to give it a pass. Still, it was tempting. So it was to be an FDM printer after all. It was really a matter of deciding which one. There were a number of considerations once we got past what I wanted to spend. The main ones were ease of use, print size, print resolution and general reliability. I wasn't too concerned about ease of use. I mean, I do a pretty good job of figuring out how things work. I'm no Luddite and I've been teaching myself new skills for years. On the other hand, it would be nice to be able to jump in and just start going. I did look at some 3D printer kits. You can save a bit of money if you don't mind putting one together yourself. On the other hand, my time is valuable and I don't like the idea of having to troubleshoot something like this knowing that I might have screwed it up myself. Better to get something with a warranty that was ready to go. So the kits were out. Print size is actually a pretty big dividing line. Most of the printers in my price range print somewhere in the range of 5-6" cubes. Some might have one axis that will do better but for the most part they're in that same range. To get anything much bigger means jumping up to the more expensive options. So I was going to be looking to see what the largest ones in my range were. Resolution is generally listed in the minimum height per layer and generally listed in microns. At the high end printers will generally do between 50 and 20 microns (that SLA printer would do 20 as well). At my price range it was generally 50-100 microns. On the low end it's between 100 and 200 microns. Obviously I wanted as low a number here as possible. General reliability is a gut check. This is when reviews become really important. I spent a LOT of time looking at reviews and trying to see if any complaints came up regularly. This mostly meant a lot of reading and this was one of the reasons I passed on the SLA printer. It actually didn't take took long to find what seemed to me to be the best overall printer for my money. I decided to go with the Lulzbot Mini. It's a fairly new printer on the market but the company who makes it has been around a while (in 3D printer years anyway). Even so, there are a ton of reviews out there for it and the overall opinion is that this is a really good printer for the money. When people complain about it at all it's usually because it uses a filament size that isn't the more common size of filament (though based on my research, this doesn't seem to be a hindrance in any significant way). Oh, another downside is that unlike many printers this one requires that it be connected to a computer for the duration of its print cycle. A lot of people seemed bummed about that. I'll probably end up using a little Raspberry Pi-sized computer that I have to use as a dedicated print machine for the printer so I don't have to leave up of my other machines tethered to it for hours at a time. Anyway, the printer has been ordered and I should have it in hand in a few days. I'm excited to see how I can fit this new tool into my modeling and gaming hobbies as well as into my business. I'll be sure to keep you up to date on my progress. My latest airbrushing video came about because of the 5000 Subscriber Contest miniature - the Celestant Prime. The base has that swirly effect with the shooting stars and gold... things floating around in it and even though I knew I was going to change the colors from what the studio version had, I did like the idea of having this visible starfield as part of the coloration. The last time I did a star field it was the cloaking effect on X-Wing minis. The stars sort of represent the ability to now see through the cloaked part of the ship. Since it was so small I did it with a brush. I now wish that I had thought of this technique when I was working on those projects. Of course, the swirly base is a LOT bigger than TIE Interceptors so the last thing I wanted to do was to dot 1000 little stars with a brush. I remembered that it was possible to do spatter with an airbrush - I even knew HOW to do it, but I'd never actually done it on a project (on purpose). What was great was seeing that it took very little effort to get the spatter dialed in the way I wanted it to look and then actually applying it was also pretty easy. I look forward to trying this out again on another project. I'm tempted to do another cloaking project just so I can bring my starfield game up a notch on one of those projects. As or the video... for some reason I kept using the phrase "crank it up". I don't know if I use that a lot in general conversation but it's really inappropriate for what I'm talking about in the video because in making changes to set the pressure to get different spatter effects the changes are actually very minute. You would never "crank" anything. You would carefully adjust the pressure up or down by 1-2 pounds and then see if the change is what you wanted. Sometimes my mouth opens and things spill out for no apparent reason. This is a really simple technique that SHOULD be possible with any airbrush. My Iwata CMB makes a point to say that it can do it in its marketing material, but I think that it might just be particularly good at it - but until I replace my tip for it I won't be able to try. 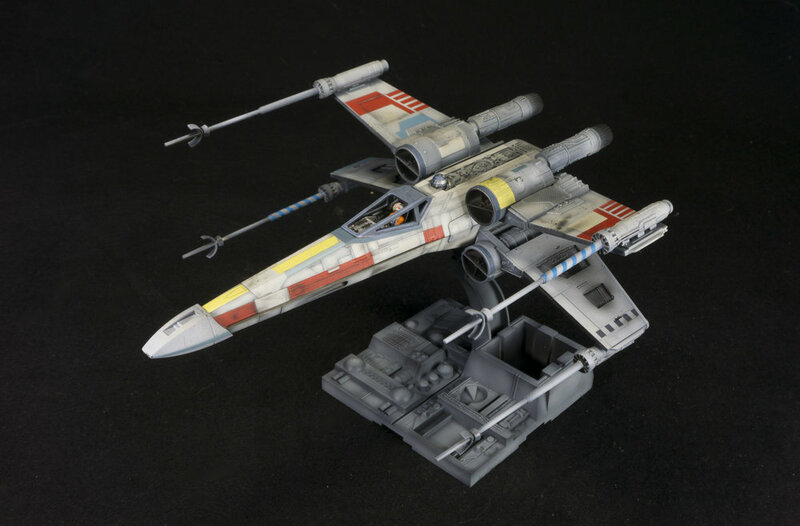 My last video covered the fact that I've been experimenting with lighting the Assault Carrier for X-Wing and my angst surrounding the fact that I am really outside of my comfort zone. I've had a lot of really good feedback but I also got a request for some photos of the project - which sounded like a great idea to me. If you want to really follow along, be sure to watch the video. When I decided on this project in my head I thought that this large model would have a ton of space to work with to do what I wanted to do. Once I opened it up the amount of available space wasn't exactly what I thought it would be. That's mostly because of the number of supports holding the thing together. Still, it should be more than enough to do the lighting that I want to do. There's certainly enough room for LEDs and fiber optic filaments. It's really only the power that is at issue. In a perfect world I want this to be powered by rechargeable batteries that could be charged by plugging in something like a cellphone charger that plugs into the receptacle that's mounted on the model so you don't need to open it up. Bonus points awarded if the model could remain plugged in so that it could sit on a shelf while lit indefinitely. That's in a perfect world. I know that I could power it with large, watch-like batteries. That solves the space problem. It means that they won't be rechargeable and I can live with that. What I still need to determine is how long those batteries will last before needing to be replaced. If they last for an hour that seems less than ideal. This is something I can test, though. Of course, that's just the bare-bones. Enough to play around and prove to yourself that you can make light - like a god! I'm still going to need some switches, a different power supply (I already have a soldering iron) and.. I'm not sure what else. That's really the big takeaway for me on this project. I mention it in the video but I think it's worth mentioning again. I don't know what I don't know and that's what makes this simple project so difficult for me to move forward with. Every decision has me questioning myself. It's tough. I imagine that anybody getting into miniature painting for the first time feels much the same way. I've never been one for taking a lot of "work in progress" photos. It might be because I'm too focused on painting to stop and shoot. It may be that when I think about it and have the time then I'd rather put that effort into shooting a video, or it might be because I'm kind of particular about my still photography. Whatever the reason, I just don't capture too many still images of the stuff that I'm working on. I've been thinking about this recently because of a video that Caledors from the Beasts of War forums put up where he talked about the value of work in progress shots. He talked about the "Iceberg of Success" which in this case means when you see the finished work you might have a basic understanding of some of what went into to getting it to that finished state but you don't really see all of it. I do get that, and a lot of my videos are meant to address that, but I also see the value of finding other avenues of sharing the process and so it has made me want to make a better effort to share more work in progress photos. The #anycubicphoton continues to amaze me with its ability to reproduce fine detail. Metal Heads Bust. Painted on commission. This is a Kickstarter piece. Very nice kit overall. Did you know that the Rodger Young in #starshiptroopers had a hitchhiker? TFW you really want to be excited about finishing the first Rodger Young model, but you haven't didn't get home last night because you needed to have it on set that morning. My Warlord is coming along nicely. A place to buy stencils! I've been meaning to do this for quite a while now but with all of the painting work I've had there was never a good time to get things going. With the light schedule I've had in January I felt like it was time to finally start offering my stencils for sale. What does that mean? That means that I have a brand-new Etsy store where you can buy stencils and masks that I've created for various projects as well as ones that I can see needing in the future. 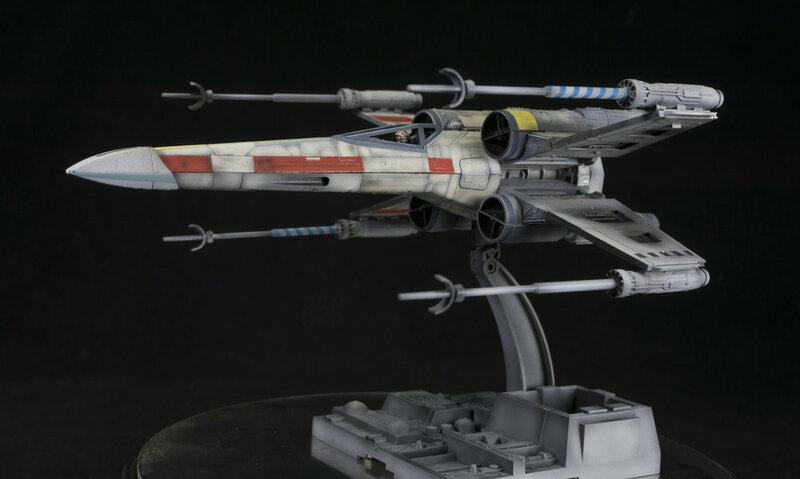 At the moment that means Star Wars X-Wing markings, but I'll be adding more things as time permits. If you have something that you'd like to see in Stencil/Mask format then please feel free to let me know. As usually happens, the number of incoming projects drops off in December. This is not unexpected. It does leave you with an opportunity, though. Most of the time when you commission me to paint for you the wait time is about two months. Right now the wait time can be measured in weeks! This is because I currently only have one solid project for January and a few brewing in the background but not yet finalized. What I'm saying is that right now is the PERFECT time to hit me up for work if you're excited by the idea of a quick turn-around.